The Syrian leadership must establish contact with opposition forces that are ready for dialogue, Russian President Vladimir Putin said on Thursday. Syrian President Bashar al-Assad has agreed to Russia's support of the Syrian opposition ready to fight Islamic State, Russian President Vladimir Putin said Thursday. Putin said he had asked Bashar al-Assad how he would view an armed opposition force that was genuinely ready to combat Islamic State militants. 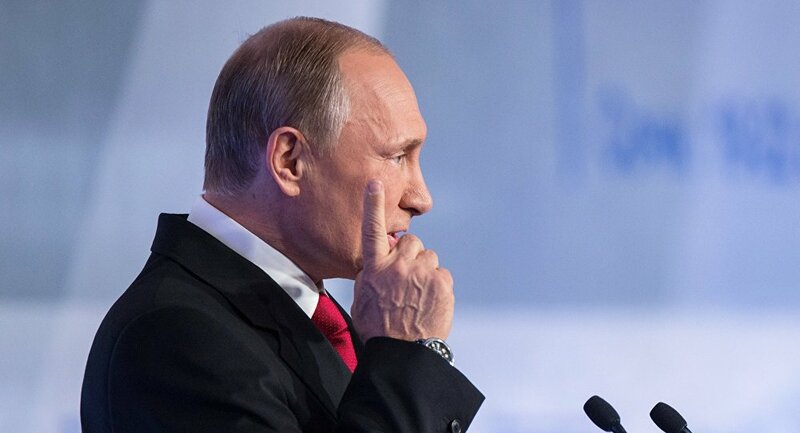 "He answered: 'Positively'," Putin said during a session of the Valdai Discussion Club in Russia's Sochi. He added that whether al-Assad should go is up to the Syrian people via transparent elections. "We must be sure that the government is being formed based on transparent democratic procedures. And we can speak, of course, of certain international control of these procedures, including elections. But this control must be objective," Putin said. "I mean both the Syrian legitimate government and opposition," he added. Dividing Syria would lead to a permanent conflict in the region, Putin stressed. "Dividing Syria is the worst option, it is unacceptable. It will not end the conflict and only create conditions for its escalation and continuation," he said. "If Syria is divided into separate territories, they will fight with each other endlessly and nothing good will come out of it." According to Russia's leader, outside interference and attempts to reorganize the Middle East have led to a rise in global threats. "We see what is happening today in the Middle East. For decades, sometimes perhaps even centuries, ethnic, religious, and political conflicts, acute social problems have been piling up here," Putin said. "In short, the explosive mixture was rising, and outside attempts to blatantly reorganize the region were the match that led to a real explosion, the destruction of statehood, an increase in terrorism and, in the end, an increased threat to the whole world," the president added.